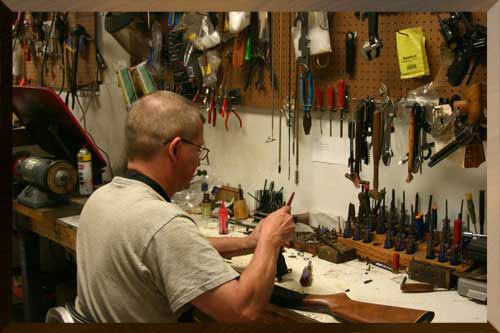 We have a gunsmith on staff that has repaired firearms for us for over 40 years with knowledge and expertise for most brands, current or out of production models. 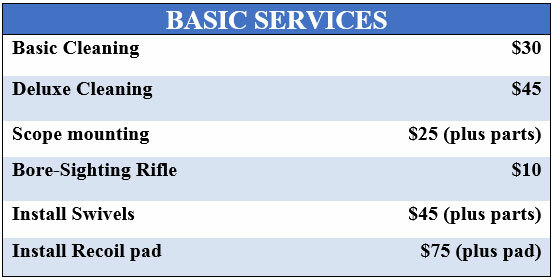 Services are on a part-time basis. 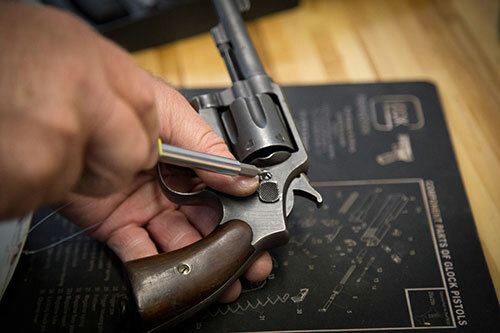 We can facilitate return of firearms to the manufacturer that are to be repaired under the manufacturer’s warranty. The customer is responsible for shipping and handling. 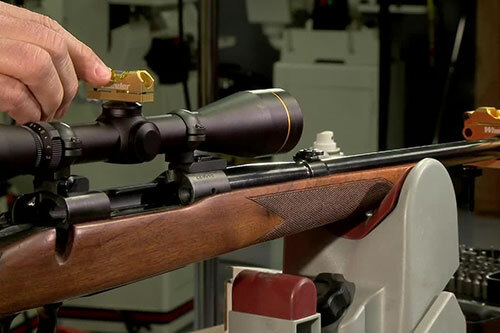 There is a minimum charge of $30 to inspect and diagnose a repair, that includes disassembly as needed.